Where are Your Training Records? According to the Association of American Railroads’, US freight railroads manage a complex nationwide rail system operating across nearly 140,000 miles. This has resulted in the U.S. developing the most efficient and cost-effective rail system in the world. Amazingly, freight railroads operate in a network almost entirely free of taxpayer support. Freight railroads are overwhelmingly privately owned and operate almost exclusively on tracks the railroads build and maintain themselves. From 1980 to 2014, railroads spent approximately $575 billion of their own funds on locomotives, freight cars, tracks, bridges, tunnels, and other infrastructure and equipment to keep the economy moving. In 2015, America’s freight railroads plan to spend an estimated $29 billion to maintain and improve the railroad network on which America’s economy rides. To maintain this extraordinary level of human effort and achievement, it’s critical that railroad companies invest in the proper regulatory compliance training software for their employee training programs. ATMS for Railroad (Advanced Training Management System) is specifically engineered for railroad safety and compliance training. ATMS is a robust, integrated complete training system for railroad employee training from course design to scheduling, from eLearning to mobile grading. Railroad employee training software for managing training requests and records. Optimizes training quality, time and cost through customized course development. Flexible eLearning delivery with real-time progress tracking from anywhere. Electronic recordkeeping with detailed trainee history and easy compliance reporting. Most likely your railroad company is governed by an overwhelming body of regulations and company standard operating procedures that require very specific course development, also known as Curriculum in ATMS. ATMS can house all of your organizations training courses in one concise location. Utilizing expensive LMS’s and PowerPoint presentations to build and issue training can leave behind a trail of uncertainty regarding actual completion and recordkeeping. ATMS offers your organization the control to build courses based on the regulations governing each specific training course or utilize any existing courses already development. Design regulation based specific courses that must be completed with high level results such as mandatory test scores or grade to lower level requirements of complete/incomplete status. ATMS designed curriculum development to be customized and flexible based on a variety of federal regulations that govern each course requirement. Does your railroad company conduct classroom training using multiple instructors and classroom locations? ATMS’ built-in schedule allows for classroom training to be scheduled in advance without classroom and instructor overlap. Notifying trainees of their training event can be daunting but ATMS provides automatic email notification to ensure trainees are aware of upcoming classes. Enable your instructors to practice the layout of a schedule before it occurs. Upon class completion instructors can store or grade any testing information within ATMS. Move beyond Outlook meeting requests and manage your railroad training classes results within our advanced training management system. Perhaps the most important aspect of a railroad organization’s regulatory governing process, but often the most overlooked, is recordkeeping. Regulations are clear regarding what is required and fines can be steep if not complied with. If your organization receives an audit, training records are typically requested regardless of the audit purpose. If your organization trains an individual under a federal regulation, there is likely a required record of training to be maintained. Seems simple enough with an Excel spreadsheet and filing cabinets, except when you are relying on multiple departments in your organization to produce and maintain those critical records. 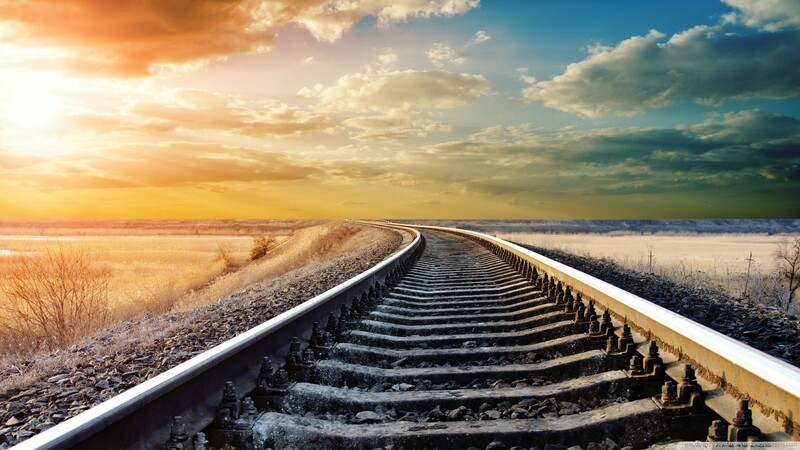 Is your railroad organization conducting eLearning through multiple, expensive, per course, outsourced LMS’s? Or are plans for expanding your training delivery through eLearning becoming a more critical means to improving efficiency and convenience? ATMS offers the flexibility of a built-in LMS to deliver existing eLearning courses, or convert PowerPoint presentations allowing them to run seamlessly through ATMS’ integrated LMS. Trainees can easily access their courses via MyATMS through any web browser and run eLearning. Once a course is complete based on your parameters, instructors can approve the course with just the click of a button, while at the same time automatically triggering a recurrent training date for each course. Instructors can also grade down to multiple task events for one course, designed with the understanding that flexibility is key in evaluation of your employees’ training results. The ability to make an LMS seamlessly integrated with a training management system provides your organization with maximum control of eLearning capabilities.